Lad Shunneson has been hunting a long time. He started when he was 3 (with photos to prove it) and quickly became an expert at shooting Squirrels for the table ... often on the way to school. His Grandmother's house was on the way, so he'd drop off his gun and Squirrels there on the way to school and pick them up on the way back; nicely cleaned (the gun and the Squirrels). 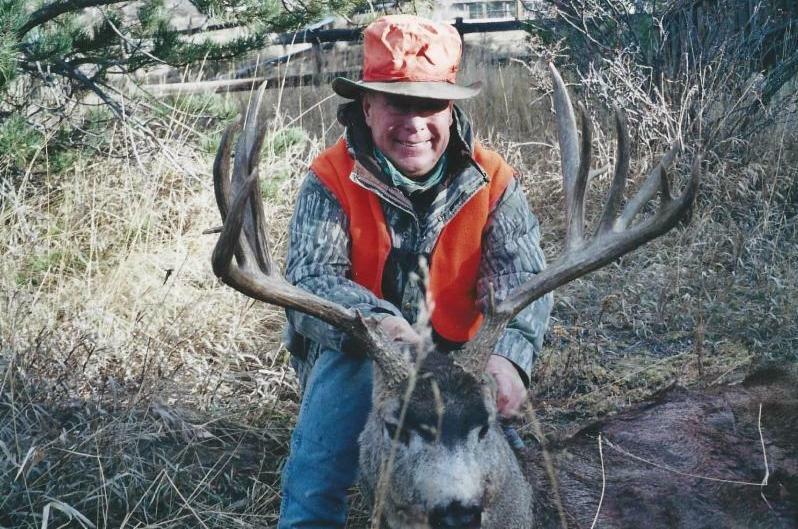 Eventually he graduated to big game, built a lodge above Boulder (an A-frame he bought from Stephen Stills and greatly added onto), and decorated it with 700 + personally-harvested big game trophies. Is Lad the first worldwide hunter to have achieved the Billfish Royal Slam recognized by the IGFA and the World Slam of Turkeys recognized by the NWTF and the Global Hunting Award recognized by SCI? If not, please contact Ken Wilson (kwilson@sportsmenonfilm.com) and we will recognize you now or whenever you finish this All-Around Hunting Achievement. This month, all 5 of our hunters shot excellent Ocellated Turkeys: Mike Ward, Billie Ritchey, Konstantin Popov, Lad Shunneson, and Ken Wilson. 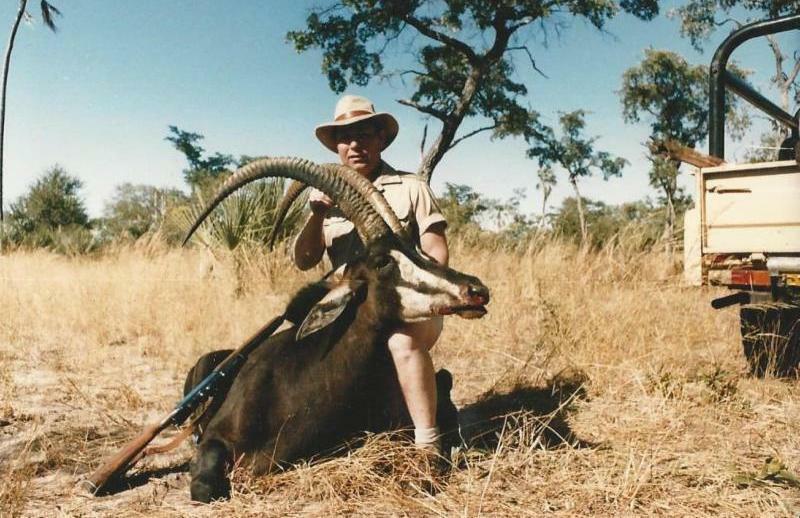 Safari Club International has a lot of awards, but their Global Hunting Award is one of the most significant because it recognizes a hunter who has successfully hunted all 6 hunting continents for at least 17 species from Africa, 13 from North America, 6 each from Europe and Asia, and 4 each from South America and the South Pacific. Of course, Lad has hunted hundreds more than that, but we believe the All-Around Hunting Achievement should be attainable by many and not just an elite few big game hunters. Per the SCI 2015 Awards Issue, 109 hunters have achieved the Global Hunting Award at the Diamond Level so far and many more are close. Sailfish, Striped Marlin, White Marlin, Black Marlin, Spearfish, and Swordfish. Per their website, 131 fishermen have caught all 9. 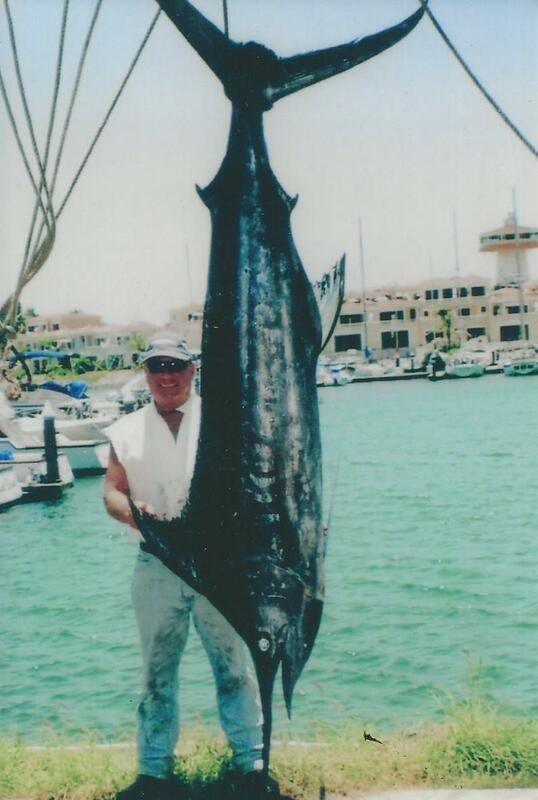 Lad has been billfishing and outfitting for saltwater fishing for over 50 years, but it took a specific effort to catch a Spearfish off Kona, Hawaii in 2015 that completed his Billfish Royal Slam. The National Wild Turkey Federation recognizes those hunters who have successfully hunted all 6 of the indigenous Turkeys of the world as the Turkey World Slam: the Eastern, Merriam's, Rio Grande, Osceola, Gould's, and Ocellated. Per their website, 313 hunters have taken all 6. 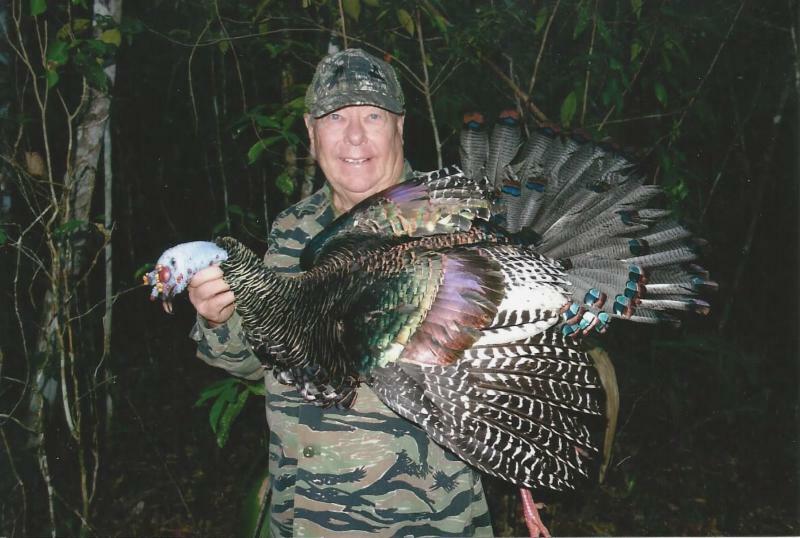 On April 11, 2016, Lad shot his Ocellated Turkey southeast of Campeche, Mexico (pictured above, left), but that still left him one Turkey short. 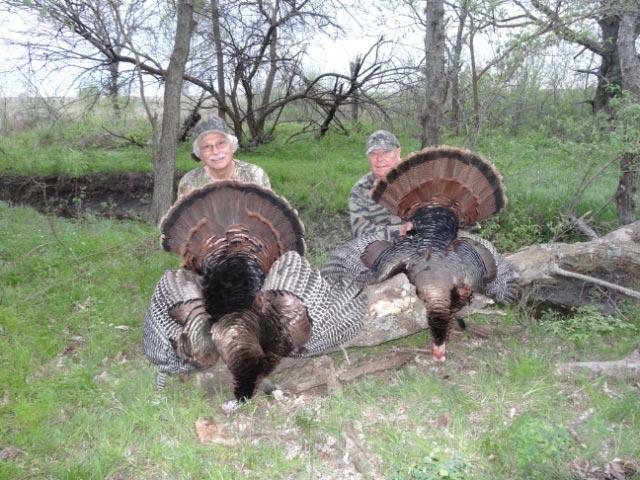 Then, on April 25, 2016, hunting with Dan Bell in Kansas, Lad completed the Turkey World Slam (pictured above right, with Ken Wilson who is now an Osceola short of his second Turkey World Slam). 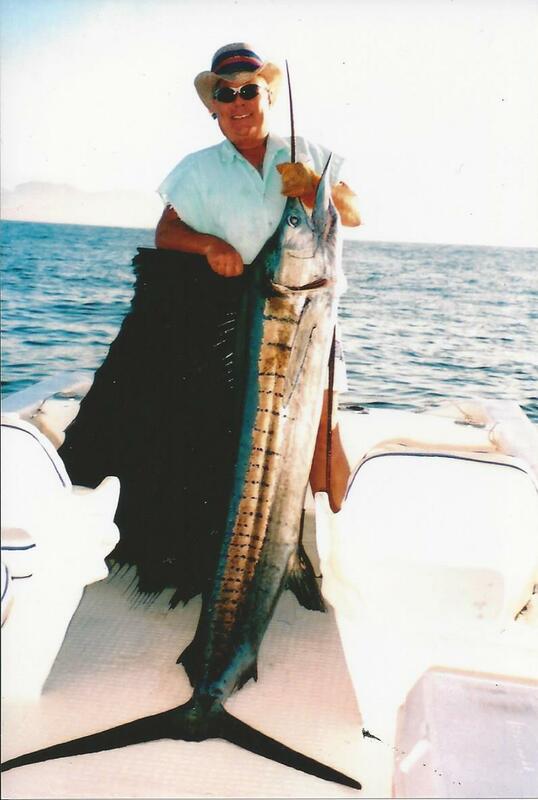 This Eastern Turkey also completed Lad's ALL-AROUND HUNTING ACHIEVEMENT: the Global Hunting Award and the Billfish Royal Slam and the Turkey World Slam. Is he the first ... ever?